Hello everyone! 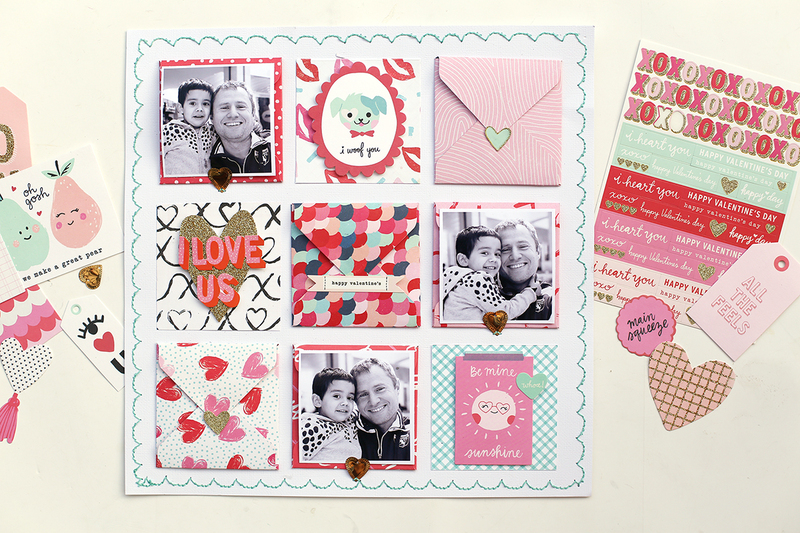 It’s Eva here today bringing you a Valentine’s Layout made with some of my favorite tools, including the Envelope Punch Board. This board is a must have! 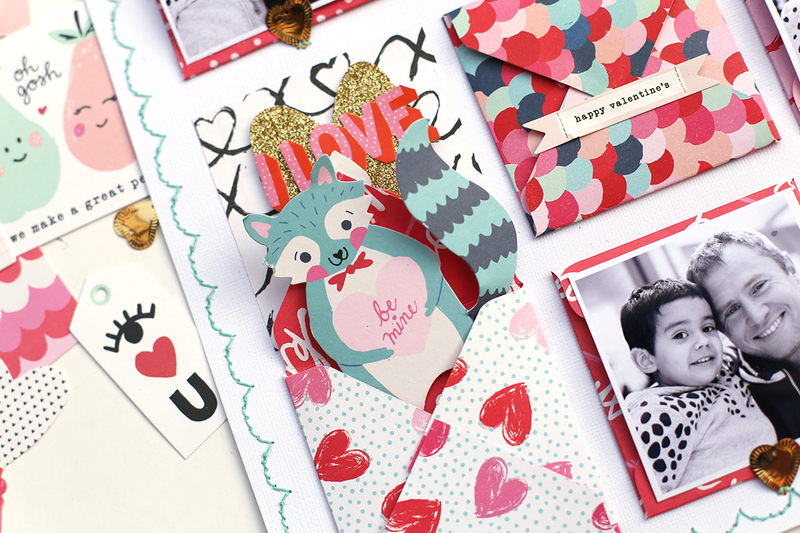 You can use to make envelopes for your cards, but also to decorate layouts or mini albums. I made 5 envelopes using the Main Squeeze line by Crate Paper and placed them on my page forming a grid. Inside the envelope I placed a journaling spot made with my Frame Punch Board. 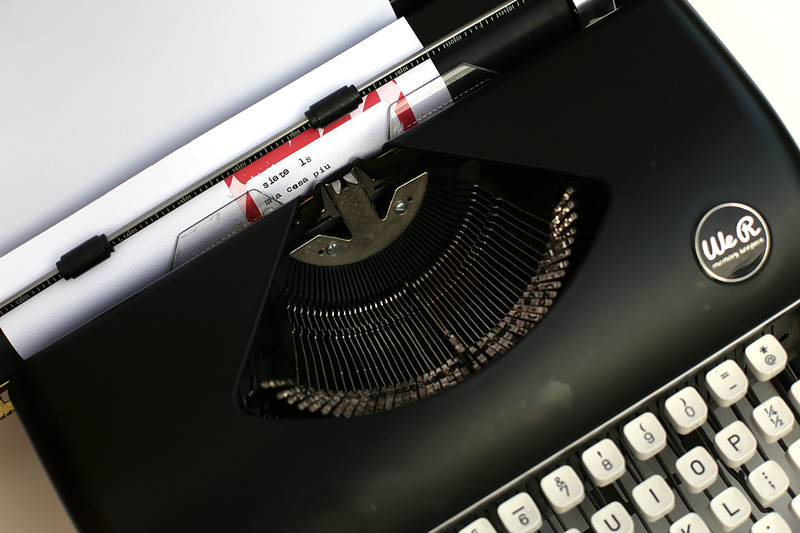 I ran my journaling spots trough my Typecast Typewriter to add some journaling. I love the Typecast font! 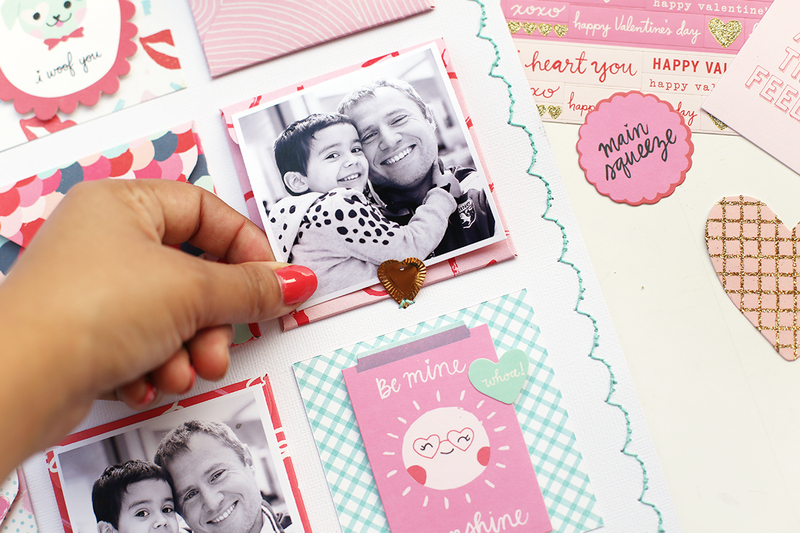 I decorated the journaling spots with some stickers and die cuts. Inside some of the other envelopes I placed tags and die cuts. I love to find surprises on my layouts! 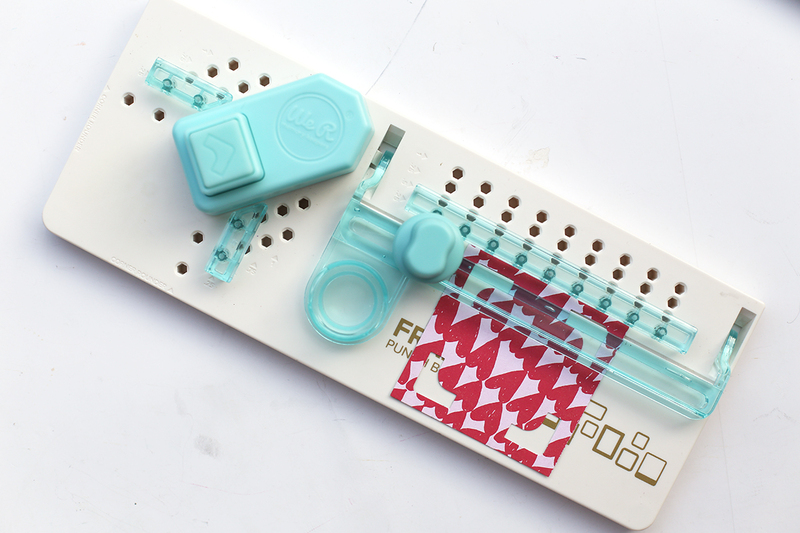 I also used my Stitch Happy to add a scalloped border to my layout, I used turquoise to help balance all the red and pink from the collection. Look at the dimension the envelopes create! 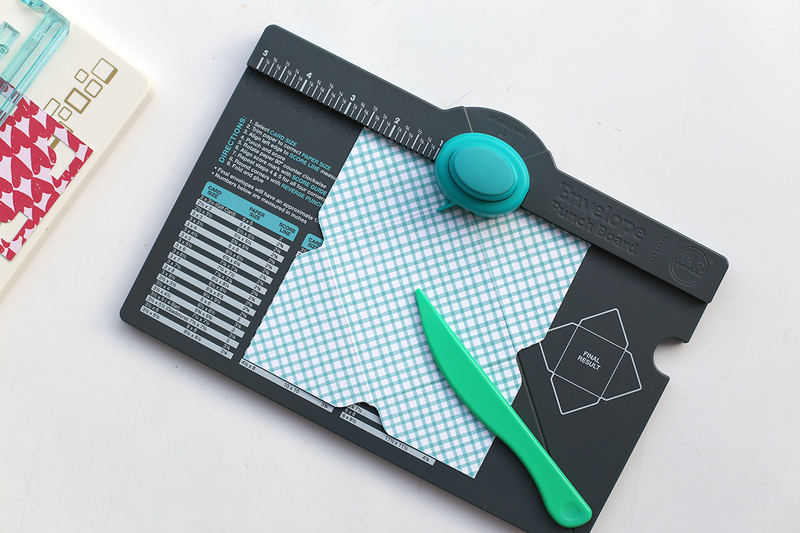 And working on a grid design is easy! 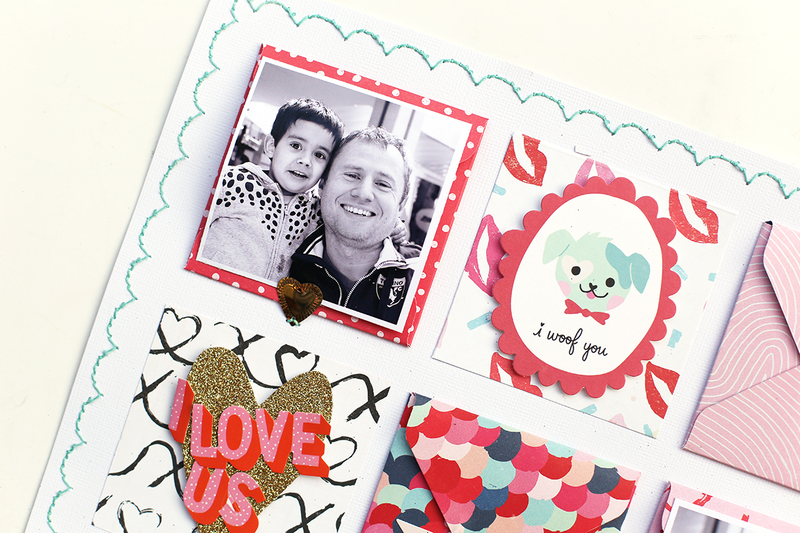 You just need to decorate 9 little squares and your layout is perfect! 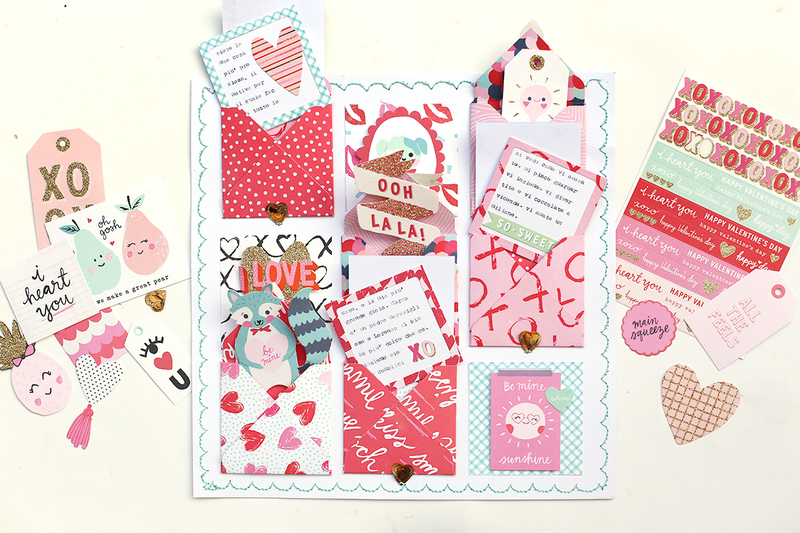 I love this interactive layout, the envelopes are fun and perfect for hidden journaling! 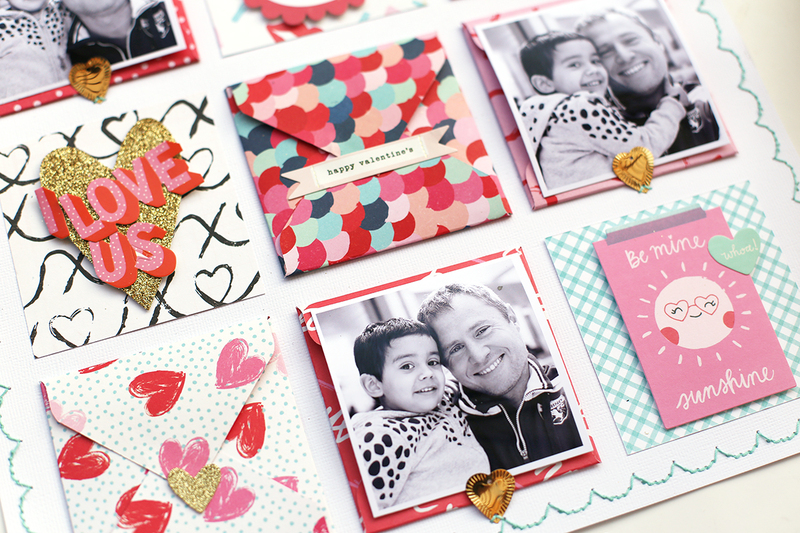 Do you use your Envelope Punch Board to make minis or layouts? OMG What an Adorable Layout. 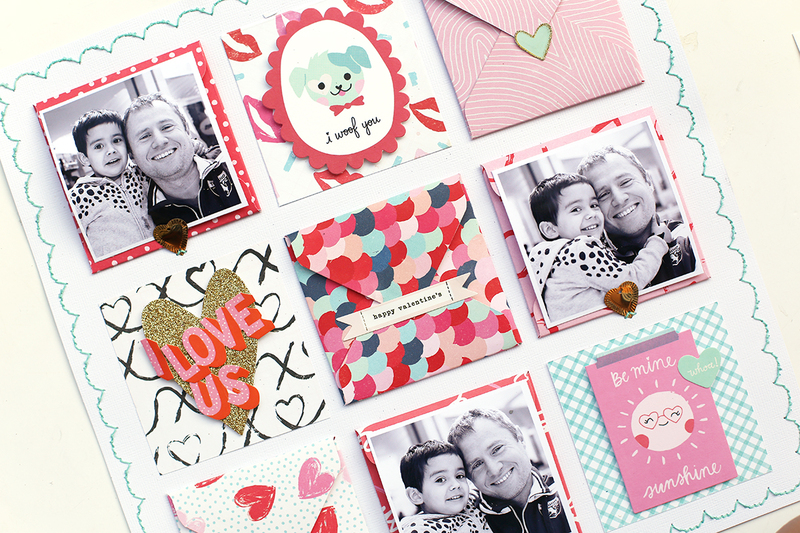 Love all the Neat ways you used your WRMK Tools!! Your Photos are Positively Precious. 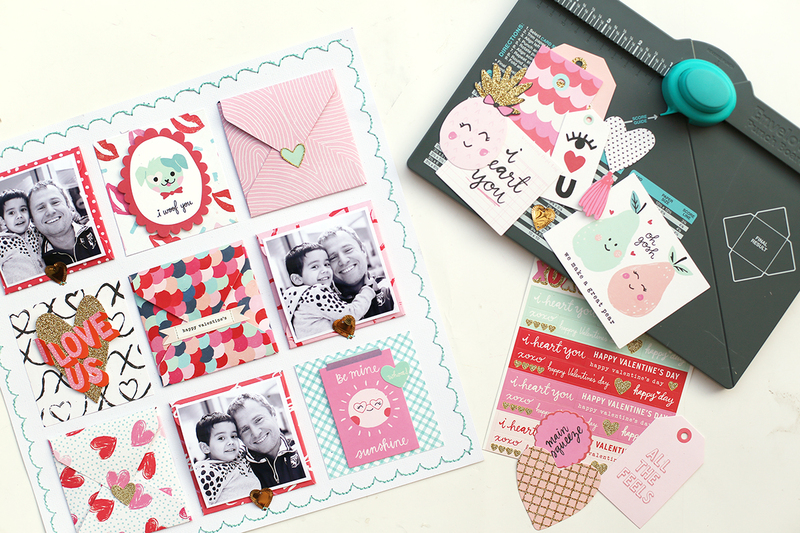 Thanks for all the Outstanding Scraptabulous inspirations!! YOU so ROCK! !